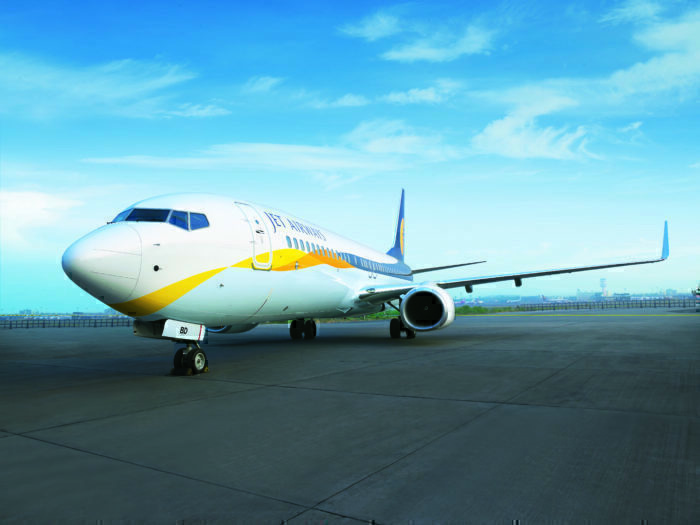 Yesterday, news reached us that Jet Airways had suspended all international flights due to financial concerns. Many have speculated that this is to prevent their aircraft, assets, and staff being stranded abroad if they go bankrupt in the next 48 hours. But how does such a large airline find itself in this situation? Let’s explore their history and timeline to discover where they went wrong. Jet Airways Boeing 777. Photo: Jet Airways. On the 1st of April in 1992, Jet Airways was first incorporated (funded by a private-public split between Naresh Goyal (60%), Gulf Air (20%) and Kuwait Airways (20%)). But they would not actually start flying until well into 1993 when they leased four Boeing 737-300’s as an on demand air taxi airline. Their first flight was from Bombay to Ahmedabad. Impressively enough, they carried over half a million passengers to 12 destinations in their first year. In 1994, they started to expand and carried 1.7 million passengers that year. At the time, they only had seven aircraft, with a three additional 737-400 aircraft rented from Malaysia Airlines. Then on the 14th of January 1995, they were finally granted scheduled air service and began normal routes like any other airline. As they were now a ‘proper’ airline, they were able to start building alliances. Their first was with KLM, to deliver marketing support in Europe and, in return, provide access to India. Moving forward to 1996, Jet Airways placed, at the time, a huge order of $375 million US for aircraft directly with Boeing. Purchasing their four 737-400 and six 737-800s meant they would be able to expand their capacity to carry 2.4 million passengers a year. This would give them a market share of 20% of all of India, second only to the national carrier India Airlines. For those who are keeping count, at this point in time Jet Airways had twelve Boeing 737 aircraft, flying 83 daily flights across 23 destinations in India. This would prove to be a far cry from further expansion. Until now, much of this rapid expansion had been fueled by foreign investment (particularly Gulf Air and Kuwait Airlines). However, in 1997 the government of India ruled that no foreign companies were allowed to own part of India’s domestic airlines and thus the original owner, Naresh Goyal purchased back the remaining 40% of Jet. With the company now privatized, they were able to explore expanding further. At the 1999 Paris Air Show, Jet Airways announced an order for 10 Boeing 737-800 aircraft (at list prices of $550 million). They then won a series of awards, such as the Air Transport World Award 2001 for Market Development and the TTG Travel Award 2002 for Best Domestic Airline. But there was one ‘award’ they did not yet win; approval to launch international routes. In April of 2001, Jet Airways had 30 aircraft and flew 195 daily flights to 37 destinations. But this came at a cost, with the company making its first loss in 2002. They tried to purchase 20 Embraer E175 aircraft (10 buy nows and 10 options) for regional feeder routes, but the poor performance of that year prevented them from committing. Their luck would quickly change in 2003 when the India government finally gave them (and others) authorization to run international routes. They chose their first to be Chennai to Colombo. They eyed up a mixed fleet of Airbus A330-200, Airbus A330-300 and Boeing 777-300ER but when they looked in their back pocket they found it rather sparse. Thus Jet Airways listed itself on the local stock exchange to raise funds for their expansion. They offered 20% of the company to investors and raised enough to make the founder, Naresh Goyal, a paper billionaire. No longer a private company, this would lay the groundwork for their eventual poor financial situation, but we’re getting ahead of ourselves here! As luck would have it, as soon as the money landed in their bank account, India allowed private airlines to fly to everywhere in the world apart from the Middle East. Jet Airways used the money to secure landing slots and a route to London Heathrow in celebration. From here, Jet Airways became a force to be reckoned with. They bought Air Sahara, merged routes and support with rival Kingfisher Airlines (and would eventually swallow up their customer base) and launched their own low-cost carrier Jet Konnect. They became India’s largest airline (with 22.5% market share of all air traffic) and joined Star Alliance. When the government allowed foreign airlines to buy up to 49% of Indian local carriers, Jet Airways sold off 26% of their firm to Etihad. It was at this point that Jet Airways had over 225 jets on order with Boeing (the ill-fated 737 MAX family) as well as 10 Dreamliners. But their success was short lived. 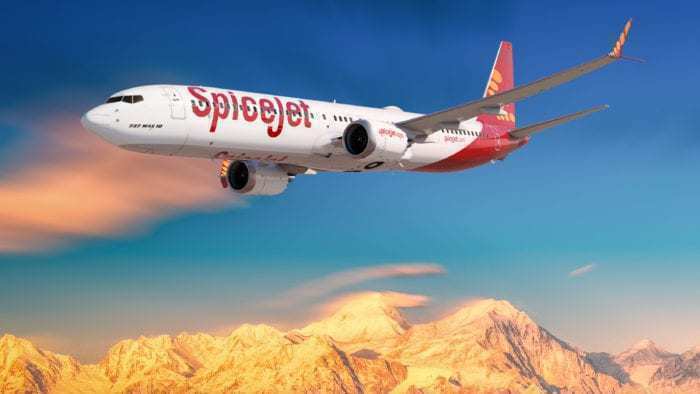 As passenger demand fell and Jet Airways’ business was encroached by newcomers SpiceJet and IndiGo, they were forced to start lowering their prices; the price war saw tickets drop to as low as 2 cents. It was the beginning of the end for Jet Airways. They pushed through their cash reserves and took on more debt to stay competitive. As with all downward spirals, events happen at such a rapid pace that we must move from years to months to mere weeks. 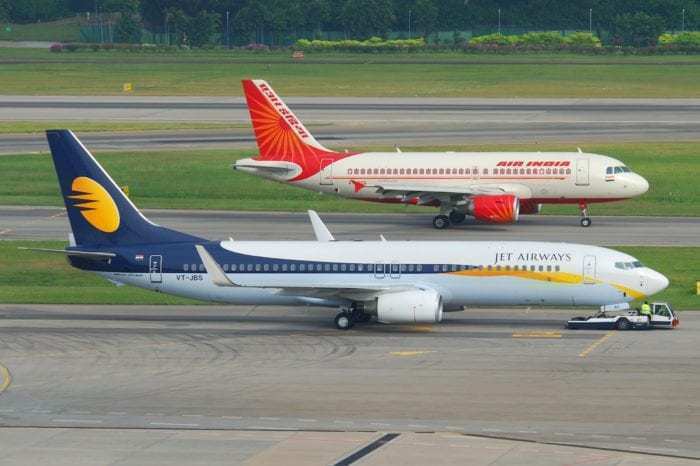 November 2018 – Jet Airways is facing negative losses and must balance its books in order to stay solvent. They owe money to lending institutions, support services, aircraft leasing firms and more. March 2019 – Action thus far has not been able to resolve their financial problems and a quarter of their fleet are grounded. The owner of the business, Naresh Goyal, gives up his 51% stake in the company in an effort to allow his shares to be sold. Etihad is unclear if they would bail out the airline or if they would simply walk away from the table. Jet Airways managed to get a short loan from lenders as they sold off stock, to keep operations moving. We have heard increasingly worrying reports from pilots and other cabin crew that they have been asked to work without pay during this period. 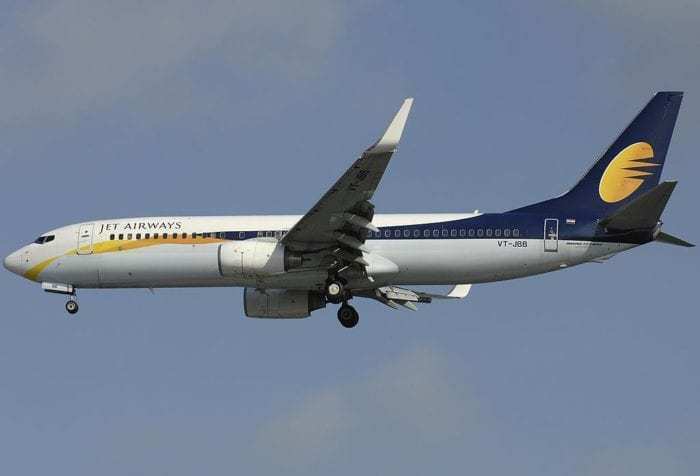 April 5th 2019 – Jet Airways’ fuel supplier has cut off the company, refusing to refuel their planes until they had been paid. April 10th, 2019 – The plane operating Flight 9W321 to Amsterdam was seized by another airline over non-payment of fees. 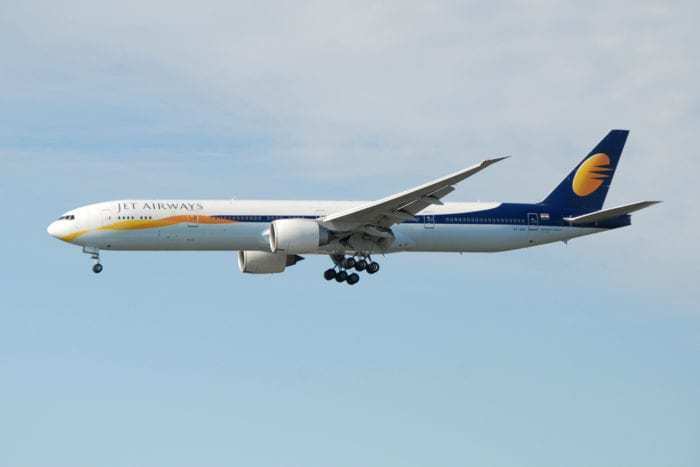 It is also believed that lessors are planning on seizing all of the Boeing 777 aircraft used by Jet Airways. Yesterday – Jet Airways has grounded its international fleet and currently only has 14 aircraft flying (out of a fleet of 115 planes). As of now, the company is run by a banking consortium (51%), and owned by Naresh Goyal (24%), Etihad (12%) and the public-private shareholders (13%). They are attempting to find someone willing to buy 51% of the company and pay off the bulk of the debt.